1. Is Chris Godwin now failing chemistry, too? Godwin has one catch (which he fumbled) on 13 targets the last two weeks. What? Did someone tell him he was supposed to replace DeSean Jackson, and he misunderstood? 2. Were the Baltimore offensive linemen and the Bucs' offensive linemen playing the same positions? The Bucs look like a mine cave-in. 3. Why do I feel like a juror, and in the Trial of Jameis Winston, he keeps presenting evidence for both sides? Every time you think he's going to be okay, he lays an egg. And every time you think it's a bad egg, he'll make a play. Winston wasn't good Sunday, but if you're listing the Bad Bucs of the Day, he'd be in the middle of the pack. I mean, who deserves a medal for this game? 4. This thought occurs to me. For all they talk about the Bucs and the Pro Bowl, they shouldn't even be allowed to watch it on TV. 5. 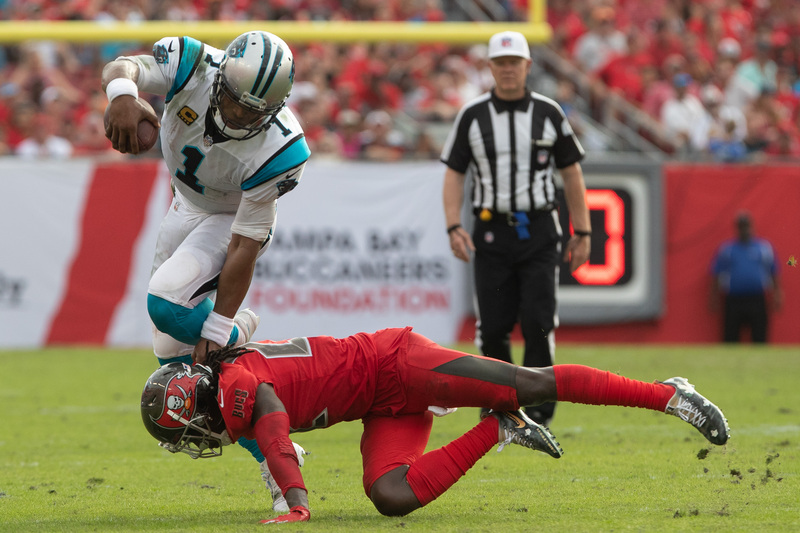 Consider this: You couldn't reheat a cup of coffee in the microwave during the Bucs' second-half drives Sunday. The four drives took 134 seconds, 126 seconds, 13 seconds and 254 seconds. It takes longer to make fun of the Geico lizard during commercials. "Just to be clear about what happened: Jackson took over this game. 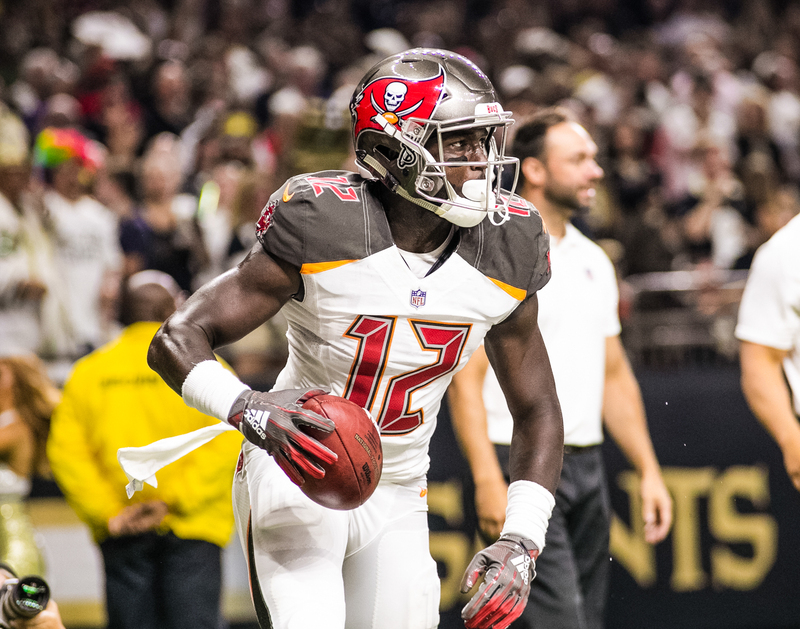 After that slow start, he made play after play to keep drives going and keep Tampa Bay’s high-octane passing offense (ranked No. 1 in the league) off the field. Sometimes, he spun away from defenders about to sack him and sprinted downfield for gains. Other times, he dropped back and threw strikes to receivers just beyond the first-down sticks. Were there times when he looked like a rookie making his fifth pro start? Sure, never more than early, when he lost a fumble and was lucky not to throw an interception. But “nothing rattles him,” Ravens safety Eric Weddle said, and as the game developed, he was the fastest and best player on the field. Every time the Bucs took the lead, he immediately led the offense to a score that put Baltimore back in front." "The biggest play of the Ravens’ 20-12 win over the Buccaneers on Sunday might have occurred with 12:03 left in the second quarter and Tampa Bay ahead by six points. "On the Ravens’ first play after a Buccaneers touchdown, running back Kenneth Dixon ran over right guard, bounced outside, and stiff-armed some Tampa Bay player into next week before being tackled after a 17-yard gain. "Right tackle Orlando Brown Jr. started to get excited. Left tackle Ronnie Stanley started flexing. The Ravens started jumping around as if they had hit the lottery, and then they dominated with a running game featuring Dixon and rookie Gus Edwards." 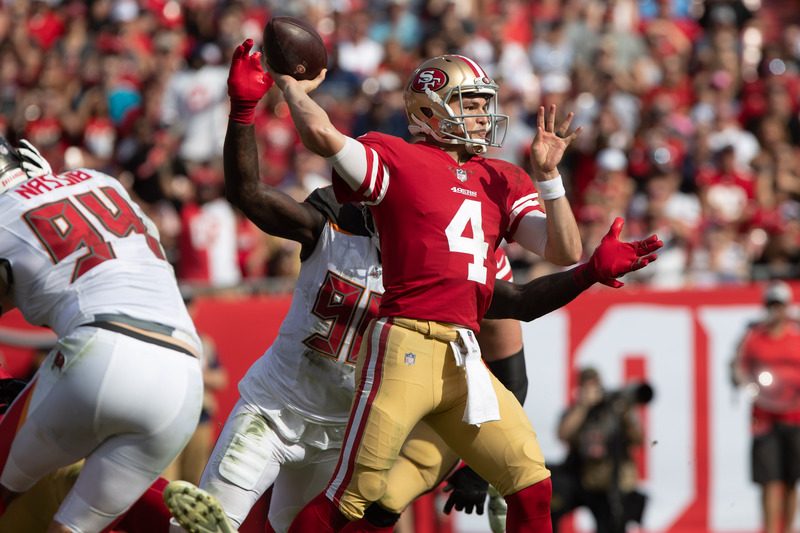 "They have a possible home run hitter in rookie quarterback Lamar Jackson, who forces defenses to stay wide and guard against him getting to the perimeter. It’s not ideal to have your quarterback running the ball 20 times a game, but the Ravens can’t worry about that now. If Jackson gets hurt, so be it. 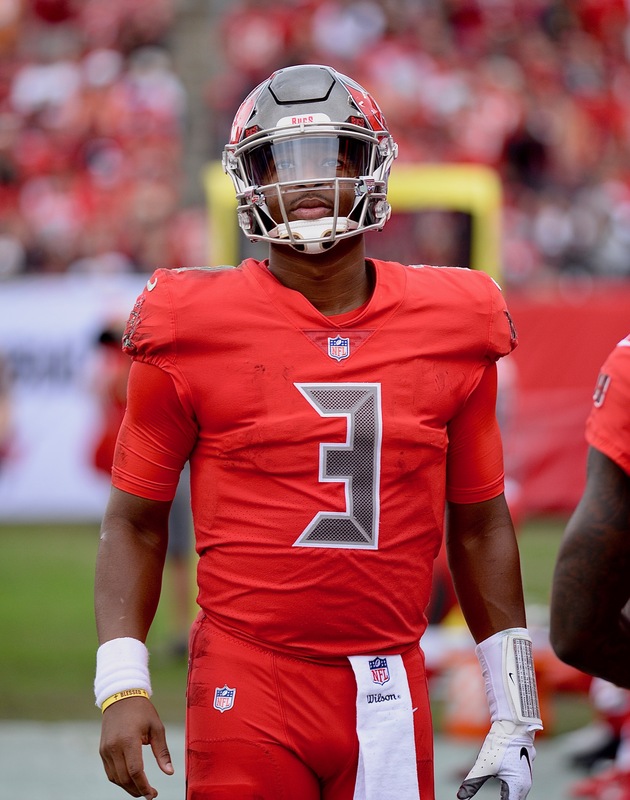 The objective is to win as many games as possible now and worry about his throwing motion and a stronger passing game going into the offseason and into next season. "The Ravens gave up a 64-yard reception to Mike Evans who had four catches for 121 yards, but cornerbacks Jimmy Smith, Marlon Humphrey and Brandon Carr shadowed Tampa Bay receivers all over the field. 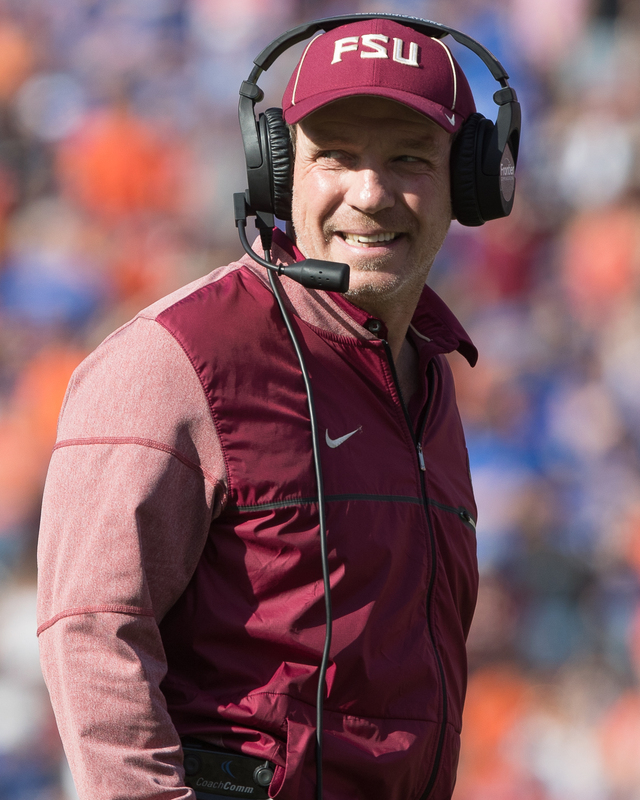 Humphrey, who knocked down four passes and intercepted one, was the best corner on the field, though he did get some help from Winston, who stared down receivers." 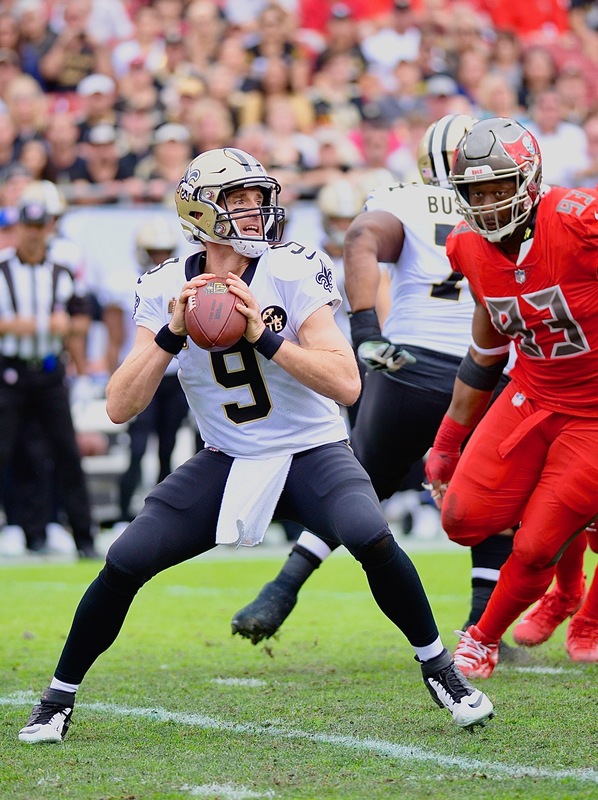 "This was a typical Jameis Winston performance; big plays both for his team (his deep shot on a scramble in the first half) and for the opposition (trying to throw a pick on the Bucs’ field goal drive in the third quarter). Today’s performance leaves no clearer view of whether or not he can tame his inconsistencies. 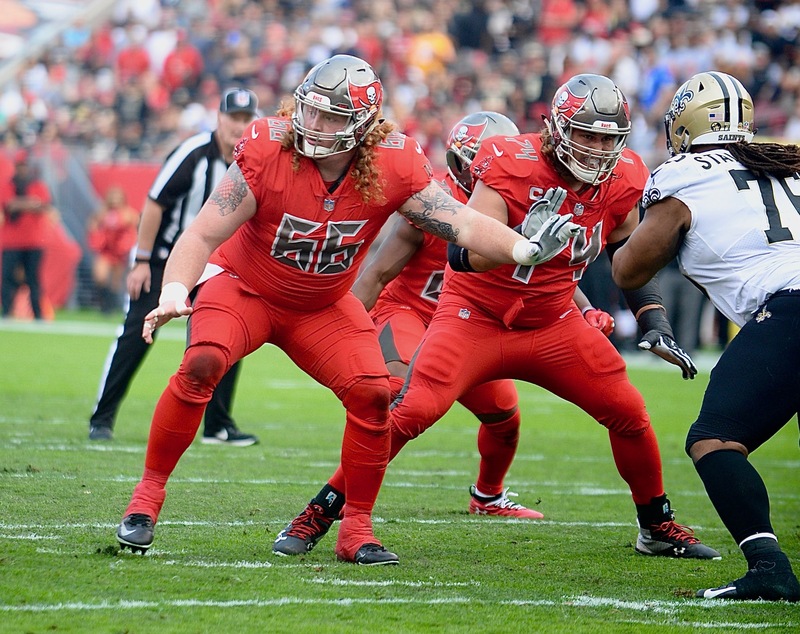 "Ryan Jensen returned to Baltimore for the first time since he signed with the Bucs as a free agent, and his former teammates proved a handful for him. This first season in Tampa Bay has been a struggle for Jensen and this week was no different, as he struggled against the power and short area quickness of Brandon Williams and Michael Pierce against both the run and the pass. "The Ravens’ rushing total hides a strong showing from the Bucs’ first-round pick. Vita Vea was more than just an immovable lump for the Ravens’ interior offensive linemen, he was disruptive and made his share of plays against run and pass. 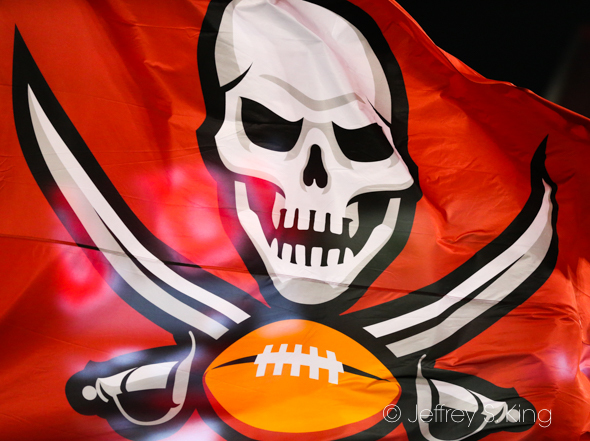 "Lavonte David was another bright spot for the Bucs. 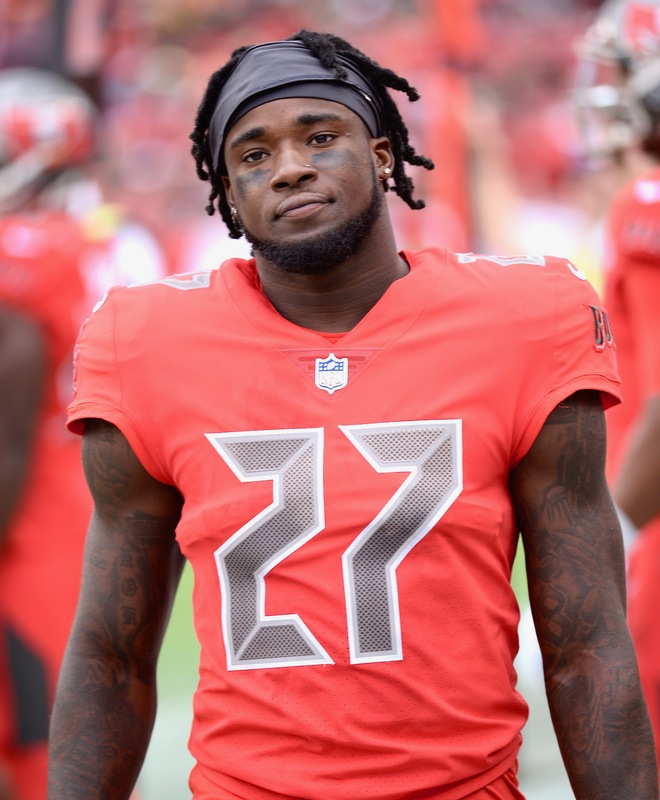 While their edge defenders were neutered and outflanked by the running threat of Lamar Jackson, David did his best to close down space and turn runs back inside, but in the continued absence of Kwon Alexander, there was a lack of quality support for David to try and contain the Ravens’ ground attack." 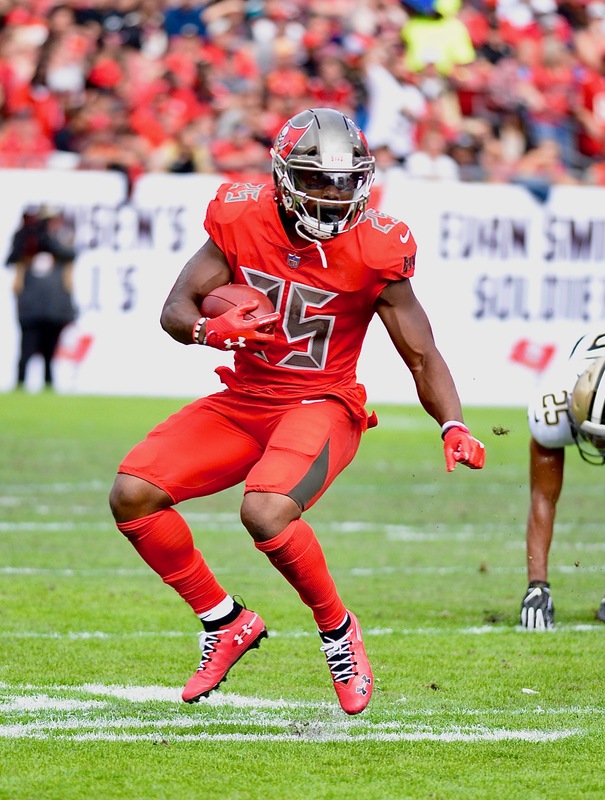 Offense: The Bucs have missed having a solid running game for most of the season, but Peyton Barber was everything they needed Sunday. After eight games with less than 50 yards, Barber had 85. With two games left, he needs 238 for a thousand. Defense: There is no question. 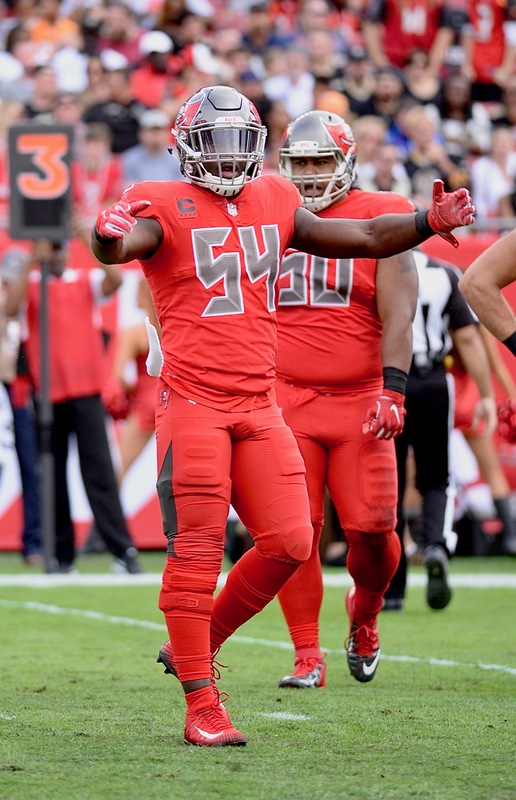 Lavonte David was the Bucs' best player Sunday with 12 tackles, two sacks and a fumble recovery. He has 105 tackles for the year, tied for 18th in the league. But he's within six of the top 10. Special teams: Bobo Wilson averaged 26.7 on three kickoff returns. It doesn't take a lot to win the special teams award these days. 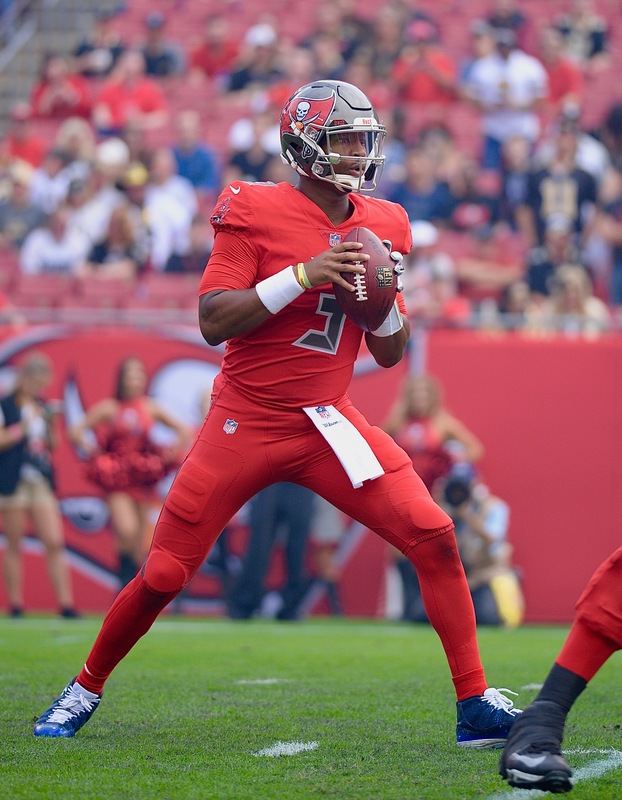 Quarterback: Winston was victimized by several dropped passes, and as always, he took a pounding from the defensive line. Winston has been sacked nine times in three weeks, and he was hit four times. Grade: C.
Running Back: Barber averaged 4.5, his fourth-best average of the year. Grade: B. Wide receivers: Were the Ravens playing in the rain, too The Bucs didn't catch the ball well all day. 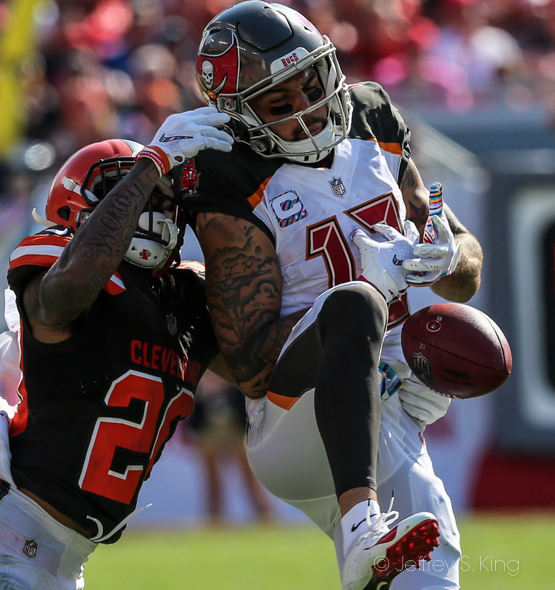 Mike Evans didn't have as good a day as his 121 yards would lead you to believe. Grade: D.
Offensive line: Remember the collapse on the third-and-one play? That says it all. Grade: F.
Defensive line: The Bucs did not accomplish job No. 1, which was to contain Lamar Jackson. 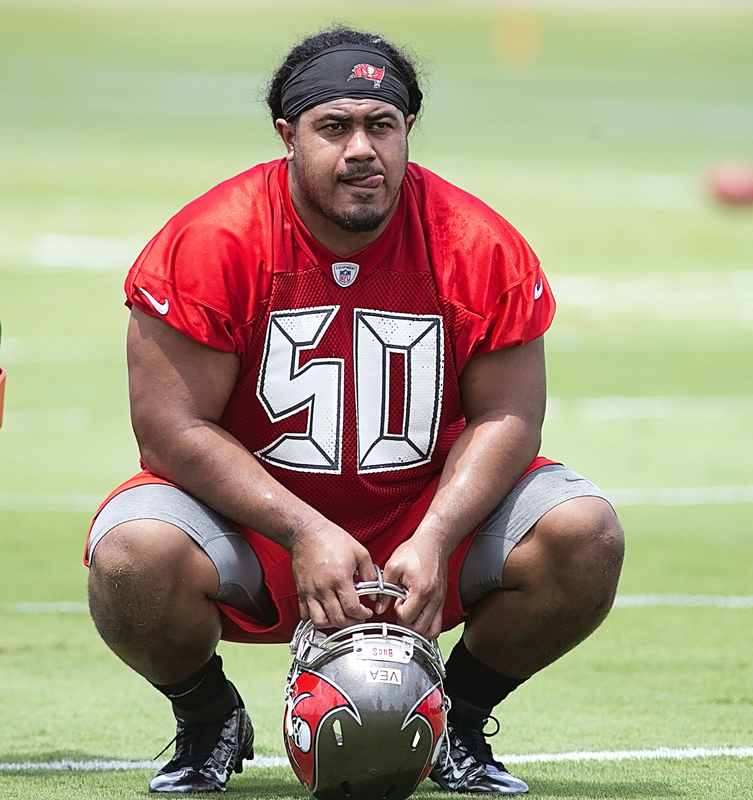 Vita Vea was good, though. Grade: C.
Linebackers: David was terrific with 12 tackles and two sacks. Grade: A. Secondary: The defensive backs weren't scalded as much as normal. 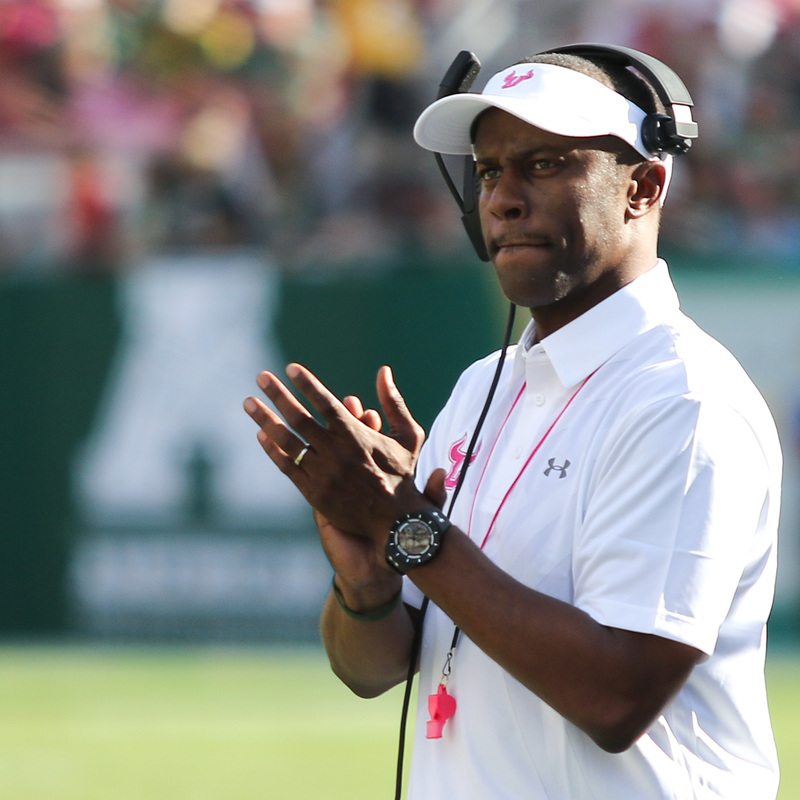 Grade: C.
Coaching: The defense has gotten a little better and the offense has gotten much worse. Grade: D-. 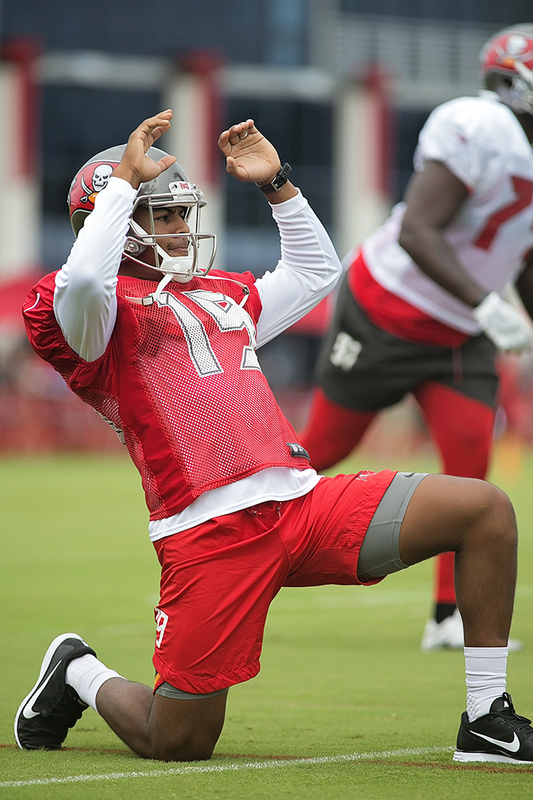 3-20-15 -- Jameis Winson was on the run again, but this time, he threw the ball as he was approaching the line of scrimmage for 64 yards, dropping it perfectly in the hands of Mike Evans. A 15-yard face mask was added on. Evans gained to the Ravens' 11, but the Bucs couldn't score the touchdown. 1-3-3 -- No, Barber didn't run a long way for his touchdown. But have you seen the Bucs in short yardage? 1-10-35 -- Hey, it started well. Barber gained 15 yards on the first play of the game. 3-5-46 -- The Bucs didn't fare well on third downs, but on this first-quarter play, Winston found Evans for 23 yards. 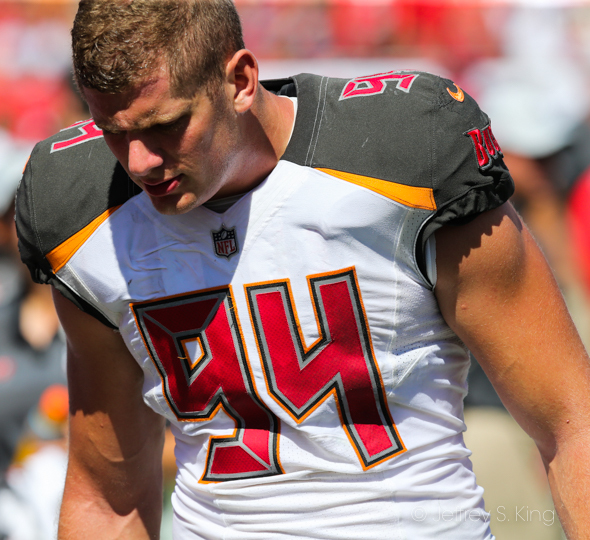 2-5-30 -- Evans had the Bucs' three longest plays Sunday. On this one, he caught a pass for 20 yards. Can this guy get some help? 3-1-30 -- The Ravens went right through former teammate Ryan Jensen to dump Peyton Barber for a three-yard loss. 4-3-33 -- If the third down play wasn't bad enough, Winston misfired to Chris Godwin on the ensuing play. These two plays were with an eight-point deficit, so there still was hope. 2-9-13 -- Jameis Winston hit Adam Humphries for an eight-yard gain, but Mike Evans was called for an offensive interference violation, negating the gain. 4-1-7 -- Some teams have no problem with short yardage.Jackson kept the ball for a five-yard gain. 1-10-23 -- Right after a kickoff, Winston threw an interception on first down to Marlon Humphries. 1. Linebacker Riley Bulloch, the former practice squad player, started and had eight tackles, third on the team. 2. 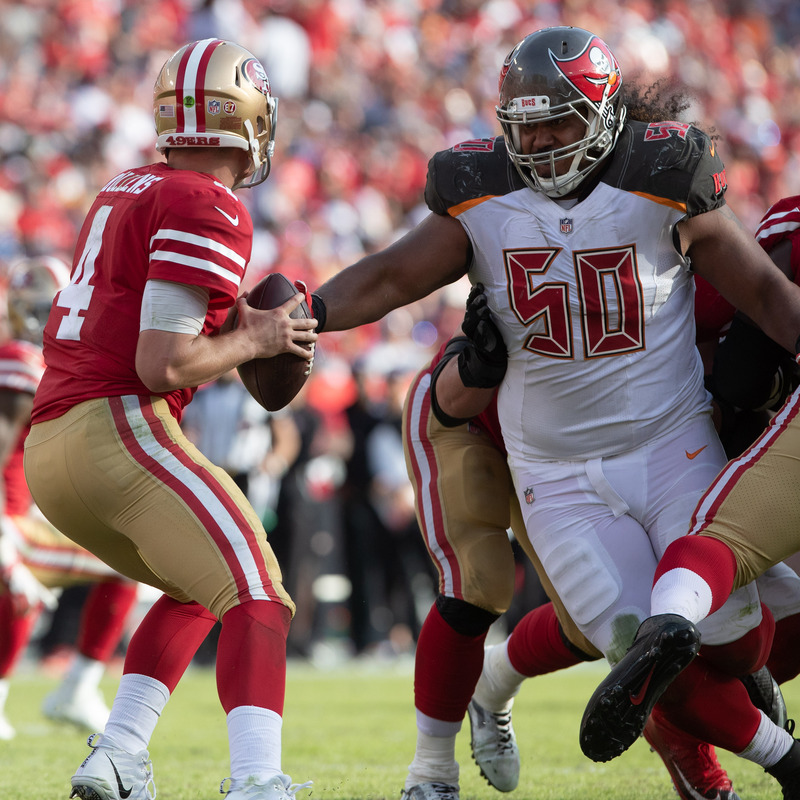 Defensive tackle Vita Vea had nine tackles in his best game of the year. There is hope for him yet. 3. Safety Andrew Adams had seven tackles and a pass defensed. 4. Defensive back Josh Shaw had four tackles and introduced himself to his Bucs' teammates. 5. Carl Nassib had three tackles and a tackle for loss. If the Bucs finish 1-1, Licht will be tied with Dominik. 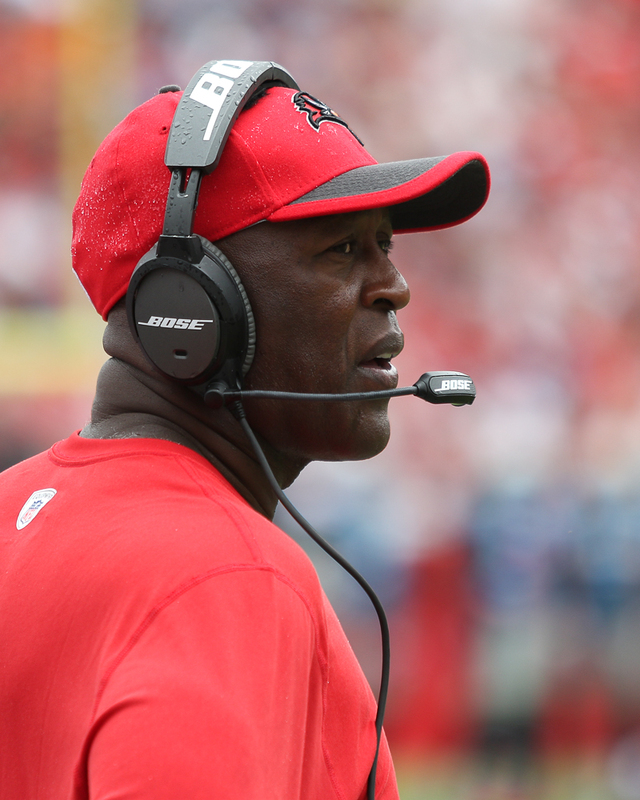 The Bucs scored only 12 Sunday, but they've done worse in the three years under Koetter. 1. It's interesting how the final days of a disappointing season wind up. 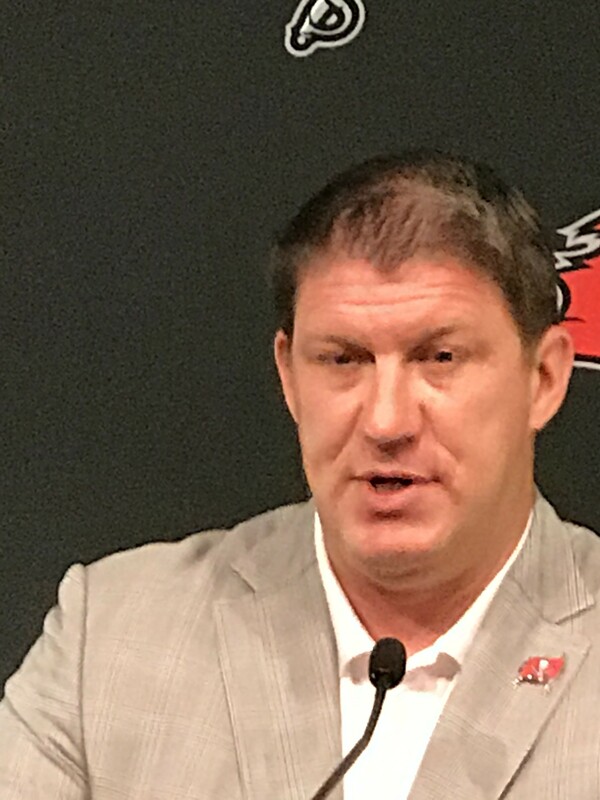 Here in Tampa Bay, an argument seems to have sprouted between whether Jason Licht or Dirk Koetter is more to blame for the familiar quicksand this team finds itself in. As they come down the stretch, I have Licht by a nose. 2. I know that Roberto Aguayo was a failure here, but wouldn't he be a better running back than Ronald Jones? Especially between the tackles? 3. I think to save his job, Koetter needs to win three out of the next two. Maybe four. 4. It's ghastly to consider, but the Bus now have 29 losing seasons, 13 winning seasons and one .500 season. Shouldn't that qualify for disaster relief? 5. 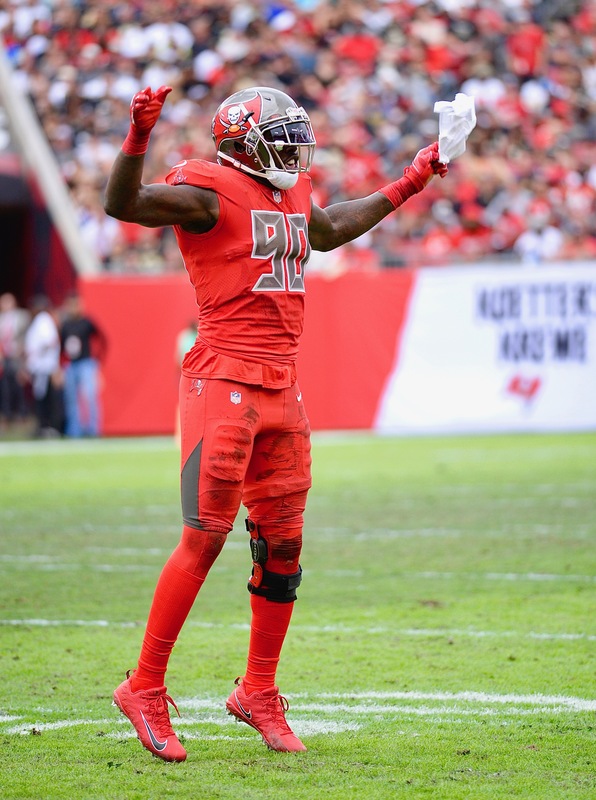 If there is a legacy of the current Tampa Bay Bucs, it is that they turn the ball over, they suffer penalties, they play close but lose close and they don't travel well (2-13 in their road games over the last two years). Has there ever been a better game plan for failure? The Tampa Bay Bucs were in their best days when they played the Cowboys in 2000. On the other hand, the Cowboys were getting a little long in the tooth. Troy Aikman was 34 and in his last year. Emmitt Smith was 31. Michael Irvin had retired the year before. It shouldn't have surprised anyone, then, that the Bucs ran their way to a 27-7 victory over Dallas behind Warrick Dunn's 210-yard afternoon. Shaun King quarterbacked the Bucs, but he threw for just 65 yards and the Bucs considered replacing him with Eric Zeier in the first quarter. They didn't, however. LMAO! We do qualify for disaster relief. What would that be? Do we get the Patriots staff and front office to right our ship for 3 years then give it back? That would be nice. A care package with old helmets and shiny chinstraps would be a start. Maybe the refs could ignore Ryan Jensen’s holds for a day? Anything.